Can a Grantor Trusts to Hold Stock in an S Corporation? Should I place my stock in an S Corporation in my grantor trust? 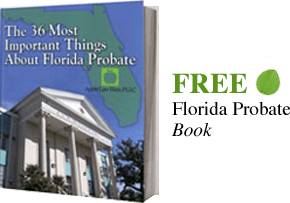 A grantor trust may be revocable or irrevocable. While many trusts have language permitting the ownership of stock, it is often one of the most underutilized parts of a trust. S-corporations are closely held companies that do not pay federal income tax, and instead, the shareholders pay the companies taxes for income, deductions, gains and losses. Grantor trusts have several requirements to be qualified to hold S-corporations stocks or shares. A trust will be ineligible to hold S-corporation stock, and the corporation’s S election will terminate if the grantor trust is not formed correctly. An S-corporation is a business entity formed under state law that elected to be taxed under Subchapter S of the federal tax code. The business entity can be a corporation or a Limited Liability Company. The IRS code, 26 U.S. Code Section 1361, allows a company to bypass taxes at the corporate level and instead elects to be taxed at the shareholder level. Studies estimate that around 4 million companies in the United States chose to be taxed in this manner. This type of taxation allows a company to pay no tax on its income. Instead, the company’s shareholders pay the tax on the corporate taxable income in proportion to the percentage of ownership. For instance, if a shareholder owns 20 percent of the company’s shares then this person will only pay tax on 20 percent of the earnings at their individual tax rate. This can offer a tax advantage to companies that qualify to take the election because it allows the business owner to avoid double taxation and to be taxed like a partnership or at the individual level. Under a traditional corporation, often referred to as a C-corporation, the company pays taxes on its income. Further, the shareholders also pay a tax on the dividends when they receive them. S-corporations have pass-through status. So how do companies qualify to become an S-corporation? There are three major requirements. First, the company can have no more than 100 shareholders. Second, the shareholders can only be individuals or certain trusts. Third, the corporation cannot have more than one class of stock. As stated above, trusts are allowed to hold S-corporation shares when the trusts meet certain requirements. Additionally, even if the trust initially meets the requirements, the company must continue to annually monitor the trust to ensure the trust continues to meet the Subchapter S rules. If a trust that holds stock later no longer qualifies, then the corporation will lose its S-corporation status. A trust that holds S-corporation stock must have certain trust terms. These terms allow the federal government to deem one person to own the trust whether it be the trust’s grantor or a beneficiary. Spouses can be treated as one if both persons are U.S. citizens or residents. There are many types of grantor trusts that can be used to hold S-Corporation stock. These trusts are created to allow a person to own the shares for federal income tax purposes but exclude the shares from the grantor’s gross estate to avoid federal estate taxes. In the past, these grantor trusts were either: GRATs (grantor retained annuity trusts), or IDITs (intentionally defective irrevocable grantor trusts). Congress also now allows S-corporation stock to be held in a qualified Subchapter S trust. These trusts are called QSST trusts and were created by the Economic Recovery Act of 1981. This type of trust can allow the trust principal to pass to other beneficiaries. For this trust to be valid there can only be one income beneficiary that can receive the income of the trust. This person must receive all of the trust income, and only this person can receive trust principal. There is one type of trust than can hold S-corporation stock and be valid with more than one beneficiary. This type of trust is called an ESBT trust, which stands for electing small business trust. This trust also gives the trustee discretion over trust distributions, without causing the company to lose its S-corporation status. For this type of trust to work, all the beneficiaries of the trust must be U.S. citizens or residents. Further, the trustee must elect to have the trust treated as a separate trust for income tax purposes, and taxed separately at the highest income tax rate. Paying the highest tax on the income makes the ESBT more expensive than a QSST. However, this allows the trust to benefit more than one beneficiary. When the creator of the grantor trust dies, the grantor trust can continue to hold S-corporation stock for two years. After this two year period ends, the trust will no longer be eligible to hold S-corporation shares unless the trust otherwise qualifies as another type of trust that is permitted to hold the stock. For this to happen usually the trustee must distribute the S-corporation stock to a person, or another grantor trust, that is eligible to be a shareholder. For more information on how to form an S-corporation and how to use grantor trusts to hold company shares contact us today at 904-685-1220. The corporate attorneys at The Law Office of David Goldman PLLC specialize in helping our clients create tax friendly entities and trusts that offer asset protection for company shares.